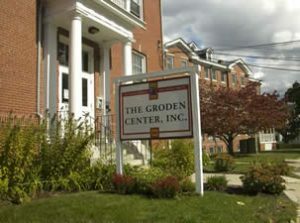 The Groden Center Day Program, located in the east side of Providence, works to enhance the lives of children and youth with autism, behavioral disorders, and developmental disabilities, and their families. We foster greater independence and inclusion through provision of intensive learning and living environments where our students can achieve a balance across all life skills. The Center is dedicated to understanding the developmental needs of its children and youth, investigating the most effective educational and treatment strategies, and contributing this information to the related fields. The Groden Center Day and Residential Programs provide a broad range of individualized services in the most normal and least restrictive settings possible. Instruction is provided in functional skill development, communication, emotional and social development, physical and recreational skills, domestic responsibilities, community awareness, adaptive living skill and vocational education. Local school departments, state agencies and other responsible providers can make referrals directly to the program by contacting the Admissions Office at the Center. Families, advocates and funding agencies are welcome to visit the Center to tour the program. When the Center receives all of the individual’s current records the funding agent, family and child/youth will visit the Center for an interview and screening to determine program needs. Following this review process, the Center will determine how and when it can best serve the individual, notifying the funding agent and family. Dual-Diagnosed Cognitive and Mental Health Disorders.